Elk Grove Village police charged Cameron Ruebusch, of the block of 200 West Brantwood Avenue with assaulting a federal employee with a deadly weapon, according to a criminal complaint filed in federal court Wednesday January 2, 2018. 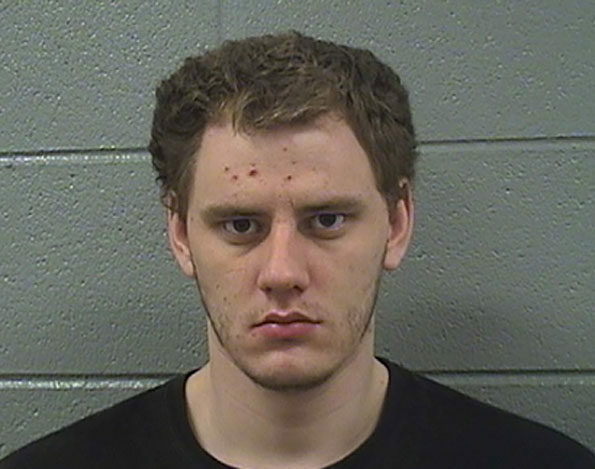 Cameron Ruebusch, age 24, is accused of shooting a postal worker about 6:00 p.m. on New Year’s Eve December 31, 2018, Elk Grove Village police announced Wednesday. The shooting occurred directly in front of the listed residence of Cameron Ruebusch, located on the south side of Brantwood Avenue just east of Chelmsford Lane. Investigators with the United States Postal Inspection Service, which is handling a joint investigation with the Elk Grove Village Police Department, allege in a court filing that Ruebusch, wearing a baseball cap, tapped on the front passenger’s side window of an unmarked postal worker’s vehicle while holding a small handgun, and said, “What’s up man?” before firing his weapon. United States postal worker Stephen Casazza Jr., drove away when he saw the handgun; and said he heard a gunshot, followed by the feeling of warmth and wetness in his right shoulder as blood began flowing. 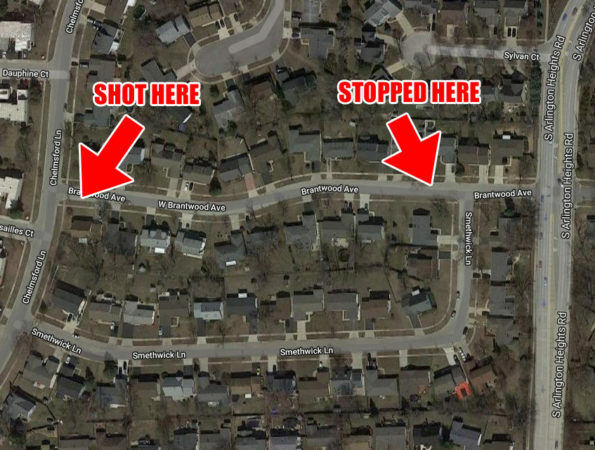 Casazza, Jr. realized he was shot and drove eastbound on Brandtwood Avenue toward Arlington Heights Road. He eventually stopped in the middle of the street after cutting off another vehicle to ask the occupants of that vehicle for help. A former Chicago police homicide detective and his wife provided aid to Casazza Jr. until police and firefighter/paramedics arrived. Casazza was transported by Elk Grove Village firefighter/paramedics to Level I Trauma Center Advocate Lutheran General Hospital, where he is recovering. If convicted, Ruebusch faces up to 20 years in prison. Arrest records included a record of arrest for a Cameron Ruebusch, 6’3” 200 LBS on March 15, 2017 for Assault. Cameron Ruebusch, suspected of assaulting a federal employee with a weapon. Shooting Map Brandtwood Avenue Elk Grove Village.